After spending several weeks immersed in National Book Award finalists, it was a relief last week to turn my attention to the good solid storytelling of Cynthia Harrod-Eagles and The Homecoming, the 24th book in the Morland Dynasty series. The book opens in 1885 and follows the Morlands almost to the end of the 19th century. Almost all the central characters were prominently featured in previous books, which makes this book an especially strong contribution to the series as far as the characters go. The current generation of Morlands is one that I especially like, so I was happy to spend time with them. And the fact that I love the Victorian era certainly doesn’t hurt! Most of the action in the novel takes place in London, although there are several forays to Yorkshire, where Morland Place is located. Over the course of several generations, the different branches of the Morland family have diverged and ended up in different social classes. Thus, Harrod-Eagles is able to show us glimpses of life among the nobility and the royal courts, wealthy rural landowners, the growing middle classes, and even the working classes. (The latter are mostly represented by servants of the Morlands.) We get to see their differing attitudes toward money and work and—perhaps most important—toward conventional morality. I especially enjoyed watching members of one of the branches of the family set up a middle-class London home and navigate the social and educational scene. There are, as always, some interesting discussions of the place of women in society, although that was a less central focus than in some of the previous books. As the novels have moved through the Victorian era, I’ve wondered whether some of the great Victorian writers might make a cameo. Finally in this novel we get to meet Oscar Wilde! Early on, a few of the characters are reading his books and attending his plays, and eventually his social circle ends up touching the Morlands’ circle. I was very curious as to how Harrod-Eagles would handle some of the first open discussions of homosexuality in the series. (There have been implied love affairs between men in previous books.) Throughout the series, she has allowed her characters to seem ahead of their time without making them seem like they’ve walked straight out of the 21st century. Overall, I was impressed with her work in this book. One conversation in particular stood out as being both true to the characters as established and to the time as we understand it. I don’t want to share too much detail, because I know a few people are just a few books behind me in the series, but basically one of the most forward-thinking characters in the series speaks to a bewildered young man with both firmness and compassion. Whatever sense of judgment there is in her words has only to do with her concern for a potentially heart-broken niece, not with her views about what this young man might be learning about himself. It seems to fit right in with this character’s overall tendency to adopt a live-and-let-live attitude toward others as long as their actions aren’t harming anyone. There were a few points when the book dragged a bit, mostly during the long discussions of the royal family. A big part of the problem is that Victoria was so fertile! Harrod-Eagles attempts to show where the various royal progeny ended up, all of which is very interesting but also very hard to follow if you aren’t familiar with late 19th-century royal family trees and how those family connections played out in the 20th century. Alas, I only have the vaguest sense of those connections, so I got lost where other readers might not. There were points where I knew important information was being dropped, but I had to browse around Wikipedia to learn that I was reading about, for example, the courtship of the last emperor and empress of Russia. Now that I’ve investigated a bit, I can see that all those royal names end up having massive historical importance. Although I got frustrated while I was reading, on the whole, I’m glad that Harrod-Eagles doesn’t spoon-feed that information to her readers. It’s usually easy to tell when a person in the series is of historical importance, and it’s not hard for curious readers like me to find out what that person’s significance is. 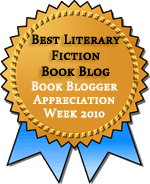 I like for historical fiction to both teach me something I didn’t know and leave me wanting to know more. Harrod-Eagles does that, which makes this series a pleasure. I can’t believe that I have never heard of this series before, it sounds really good. It’s a wonderful series. I’ve grown to love it over the last two years, but it is hard to find the books. Sourcebooks is reissuing them—I think they’re up to the third book now—so I’m hoping they’ll become more widely known and available as they continue. When you say “ the 24th book in the Morland Dynasty series” it feels scary – that’s a LOT of books! As I’ve mentioned on GoodReads I’ve had the 1st in my TBR fora while now, waiting for a time when I’m ready to invest in it. What was your favorite of the series so far? It is a lot, but it’s centuries of English history! A veritable feast! I’d have trouble choosing a favorite at this point. The early 19th-century ones were quite good (#14 and 15). I’ve been reading once a month, which has worked out perfectly. 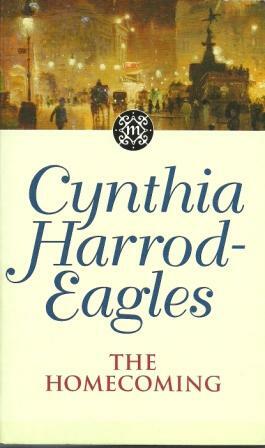 I was glad to see your review of a Cynthia Harrod-Eagles novel. In the last month or so, her books have been prominently displayed in my local library branch. As much as I seek out historical fiction, I’d never even heard of her, and couldn’t believe she’d written so many books that had slipped right by me! As Alex said, the sheer number of books is daunting, but I’ll definitely give her a try. I’m not sure whether to thank you or not…24 books in a historical series, the author of which practices the art of “good solid storytelling.” As if my reading list weren’t long enough, but this sounds wonderful. How long will it take me to catch up, I wonder? Actually this sounds like the kind of historical fiction I like where stuff isn’t explained but part of the fabric–thank goodness for Wikipedia! I know just what you mean, Jane. I think you’d enjoy the series quite a bit, and the books are fairly quick reads. The scope of the overall series is tremendous. There are 33(!) books in all, with the final book planned for next year. I’ve heard that the author is willing to write more, but the publisher isn’t interested in continuing. Aas far as catching up goes, one every month or so has been perfect, or you could just catch up with the three Sourcebooks has republished and then read those as they’re released–a little less daunting perhaps. I still haven’t gotten around to reading any of this series! I had #1 checked out from my library and had to return it unread a few months ago. Hopefully in 2011 I will have the chance to start this series that I have heard so many good things about! I hope you get a chance to try it. I’ve really enjoyed it.